Microsoft and Verizon Media Partnership | What does it mean for your advertising. 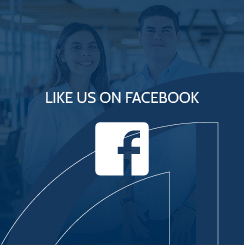 We take pride in not only being one of the first agencies to hear industry-related news, but also break it down for you, explain to you what to expect from it, and also help you adjust your advertising to make the most of it. With that in mind- we have very exciting news regarding two industry giants: Microsoft and Verizon Media. It was recently announced that both advertising giants have strengthen their search partnership and this should have a tremendously positive impact in your current Bing campaigns. This partnership will make it easier than ever before to reach your audience using online search advertising campaigns. This big change is happening very soon, as Microsoft and Verizon Media are working to complete the full transition of worldwide traffic by the end of March 2019. That was already pretty helpful, but relatively limited. With this newly-announced partnership innovation, Bing Ads will be the exclusive platform to manage search ads across Bing and Verizon Media networks on all devices. From this point on, any search advertising efforts across Verizon Media properties, such as campaigns on Yahoo and AOL, will be exclusively served by Bing Ads. At first glance, it may not sound like a whole lot of change, but this is extremely beneficial to you. You, and PPC advertisers just like you all across the globe, will benefit from this change by now having a single platform to manage search campaigns across the Bing and Verizon Media networks. By aligning all campaigns under Bing Ads, marketers will benefit from the deep audience understanding contained in the Microsoft Graph coupled with Microsoft artificial intelligence (AI) capabilities, allowing you to connect with confidence to the right audience with the right message across any device. Also, there is an expected click volume increase for advertisers targeting the US market. It makes the process easier for you to manage and it will increase your chances of generating more leads and revenue. If you use Bing Ads, you can expect volume to increase by 10% or even 15% on average, although the exact number will vary from account to account. To take advantage of the 10 to 15% increase in volume, White Shark Media recommends adding a budget cushion of 10-15% to avoid budget constraints. Don’t worry, your dedicated digital marketing strategist will help you with this, as well as everything else associated with the partnership increase. In order to best take advantage of the Microsoft and Verizon partnership changes, your account will need to make budget adjustments before March 15 and monitor them closely until the migration is expected to be done on March 31. We’ll make sure to bring it up on your next review call. Microsoft and Verizon Media are committed to partnering to bring more value and possibilities to our clients, just like White Shark Media is committed to helping you get the most from your PPC efforts. Feel free to contact us if you want to have more details about this upcoming update. Francisco is VP of Client Experience at White Shark Media. He is an economist with more than a decade of experience in Business Management, Marketing, and Behavioral Economics. 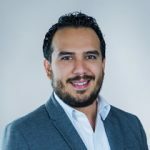 With a master’s degree in Applied Economics, Francisco has been able to use his experience to improve and expand White Shark Media’s product portfolio.